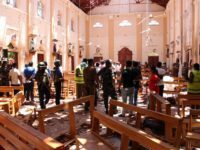 The Charity Commission for England and Wales, the government watchdog and regulator has reported a significant increase in the number of charities with suspected links to terrorist organisations. Speaking in an interview as he called for a new levy on charities to launch a helpline for trustees to report suspected wrongdoing, Charity Commission boss William Shawcross said the increasing links between charities and terror groups was a “dangerous and deadly” issue. The Sunday Telegraph reports the number of referrals by the Commission to police over terror concerns in charities trebled from 2013 to 2016, taking the total to 630 cases. In addition, the regulator initiated four inquiries into “allegations of abuse of charities for terrorist or extremist purposes” and eight appliance cases around the subject in the 2015-16 year. The comments of Commission chief Shawcross comes days after the release of a new report into abuse and mismanagement of charities by the body which revealed it has also launched 21 reports of serious incidents relating to terrorism. The Commission also performed over 70 visits or monitoring missions of charities they deemed to be at risk of “terrorist or extremist abuse”. 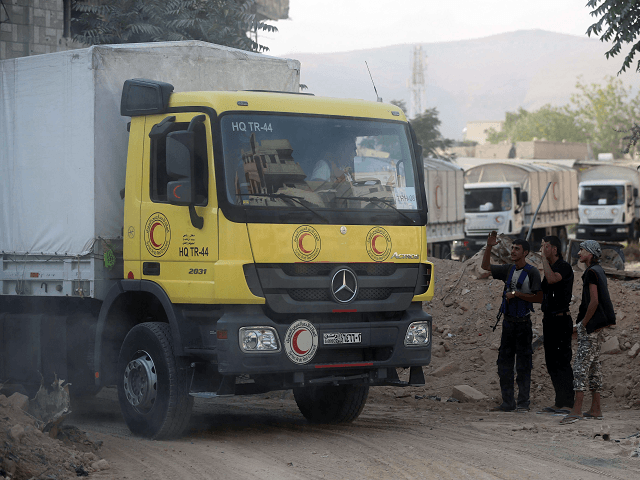 In one example given in the report, the Commission was forced to freeze a charity bank account collecting funds by social media for “humanitarian aid convoys” to Syria. The money was dispersed to other, genuine charities while Adeel Ul-Haq was banned from being a charity trustee in future and was later convicted for sending money to the Islamic State. In soliciting the donations, Mr. Ul-Haq had written on social media: “…keep the donations coming dear brothers and sisters. InshaAllah our work is not over. We will continue to support our suffering brethren”. While the report states smaller, newer charities tend to be at the highest risk of extremism, there have been cases of well-known, established charities being inadvertently drawn into extremism, with the Telegraph reporting the charity commission had to recently prevent the Joseph Rowntree Foundation and Anita Roddick Foundation from giving money to Islamist group CAGE. Breitbart London has reported at length on CAGE, whose outreach director and former Guantanamo Bay detainee Mozzam Begg has been recorded refusing to condemn the practice of stoning women to death. He was also a speaker at the recent central London protest where attendees called for a Caliphate. Charity Commission boss Mr. Wilcross said of CAGE that it “was not a charity and there is no way in which Cage could represent any charitable purpose under British law”. Talking to the newspaper about the issue of extremism affecting British charities, he said: “It is the most dangerous because of the threat of Islamist extremism. It is not the most constant threat – it is the most potentially deadly threat”. This is not the first time the issue of terrorist influence in charities has made headlines. A Guardian report in February 2016 addressed the issue, but dismissed it as “distraction from real issues facing sector”. Today over a quarter of referrals the Commission makes to police are terrorist related.